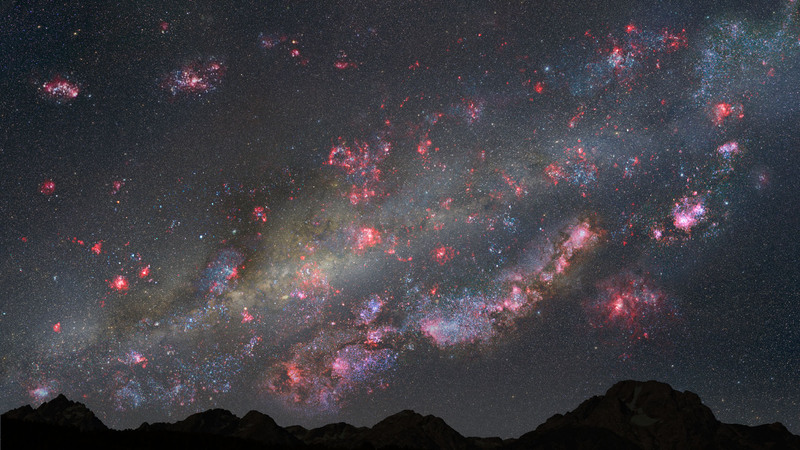 Astronomers have pieced together the evolution of the Milky Way in pictures, using data from telescopes in space and on Earth, and compiling thousands of snapshots taken of similar galaxies. Their work is published in the April 10 issue of The Astrophysical Journal. Based on information form more than 24,000 galaxies, the team eventually developed a sequence to represent how the Milky Way is likely to have evolved, in effect creating a “movie” of the Milky Way’s life from youth to middle age (see image at bottom). * The Milky Way experienced its most rapid phase of growth between 9.2 and 10 billion years ago, churning out new stars at a spectacular rate that was about 30 times what it is today. *The Sun is among those more recently formed stars, born roughly 5 billion years ago at a point when star formation within the Milky Way had slowed to a comparatively cosmic crawl that continues today. The Sun’s somewhat fashionably late appearance actually may have been fortuitous, fostering the growth of the planets within our solar system. The team’s multi-wavelength study was supported by funding from NASA and the National Science Foundation, The international collaboration included Leiden University in Holland, Swinburne and Macquarie in Australia, Carnegie Observatories in Pasadena, Calif. Texas A&M hosts the survey’s website and data. An animated version of the Milky Way Galaxy’s life story.